In little more than the last four weeks, 560 Palestinians have been arrested by Israel in the Occupied Teritories and within Israel. The storming of Al-Aqsa mosque by police with cover provided by heavily armed military led to the mosque itself being damaged and subsequently closed to worshippers has only led to a further escalation of hostilities. This is a serious escalation from the first six months of this year where Israeli occupation forces reportedly killed 1 Palestinian and wounded a further 41 in the Gaza Strip. During January-June, there were eight recorded military incursions – when Israeli forces entered Gaza then withdraw having conducted 93 shooting attacks. Israel’s illegal appropriation of land, aggression and apartheid regime leave the Palestinians with no security or rights. The consequence are that conditions have only got worse, which is spurring some Palestinian factions to make threats and resume attacks against Israeli targets in response. “We are aware of Israeli forces responding to illegal rocket fire from Gaza with 29 strikes since the 26 August 2014 Gaza ceasefire agreement. According to figures from the UN Office for the Coordination of Humanitarian Affairs in the Occupied Palestinian Territory, Israeli forces have opened fire into the Gaza Access Restricted Areas on land and sea on at least 696 occasions since then”. However, these attacks are in addition to the 29 strikes Israel has conducted on Gaza specifically in response to rocket fire. So the answer is – there have been 696 unprovoked attacks on Gaza in the last four weeks. As TruePublica reported on the 9th September “While The World Looks The Other Way – Israel Destroys Goat Herding Communities” it appears that Israeli forces continue their attacks on peaceful farmers, fisherman and unarmed civilian protestors. The continuing blockade of the sea and implementation of the ‘no-go’ buffer zone only make matters worse. On September 17, Israeli forces permitted Palestinian farmers to access their land close to the border fence for the first time in 15 years. However, on September 21, Israeli forces crossed the fence again and bulldozed agricultural land. Some analysts are brushing aside the language of a Third Intifada. Meanwhile, independent Palestinian MP Mustafa Barghouti believes the Third Intifada “has already begun”. This increased wave of violence has both the Palestinians and Israelis preparing for what many now consider an inevitable start of a third Palestinian uprising against Israel’s continued occupation. Palestinian President Mahmoud Abbas called last month on the international community to protect the holy Muslim and Christian sites in Jerusalem and to ensure freedom of worship as it had been until June 1967, especially with regard to prayer at the Al-Aqsa Mosque. His comments followed his warning to Prime Minister Benjamin Netanyahu that Israel’s actions there could trigger a third intifada. Senior Palestinian officials have said that the Palestinians have no expectation that the U.S. administration or international community will present a new peace plan of any sort. You might even think Israel is provoking an Intifada as the end result in the past has been seen as somewhat successful. Under Ariel Sharon, Israel removed its fairly small population of Gaza settlers at the end of the second Intifada in 2005, only to step up its populating of the West Bank. The intervening decade seeing that number rocket from around 250,000 to more than 350,000, with another 300,000 in Israeli-occupied East Jerusalem. As Haaretz reported today – there is no easy solution to lone-wolf’ Palestinian attackers and would a deluge of raids and arrests really help when the ‘terrorist infrastructure’ consists of teenagers armed with kitchen knives? It cannot help that Netanyahu, who was re-elected in March this year having been in office since 2009 had already declared his opposition to a binational state. He has done nothing to eliminate the threat from Palestinians with anything but continued aggression; he prefers to deal with the unrest as a “natural disaster that is out of his control”. Meanwhile, Europe continues to stand back and do little to pressure both sides in any meaningful way to stop the carnage. Even though the European parliament voted in principle last December to recognise Palestinian statehood and the two state solution, as did individual countries such as France, Italy and Germany not much progress has been made. In Britain, it was the same as the House of Commons voted 274-12 in favour of a motion that stands as an initial stage of UK recognition of a Palestinian state. That was back in November last year. 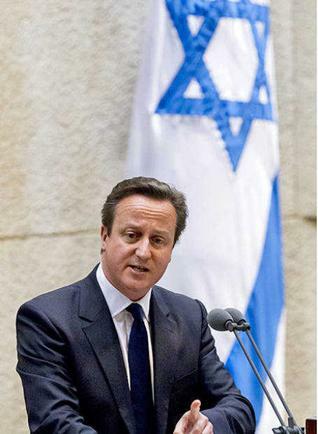 As it turned out 108 MP’s have been identified as wholly supporting Israel’s actions in the past and presumably still do, including the PM David Cameron. This meant was that over half of MP’s abstained from the vote, presumably because they were fearful of their constituents reaction had they voted against. Few would have sat on the fence on such a vote, therefore abstentions prevailed for no other reason than political self preservation. Contrary to enormous public support in Britain of the Palestinian people and the unchallenged House of Commons vote, the Government has since quietly lifted all remaining restrictions on arms sales to Israel following a year-long review of 12 export licences for weaponry which it fully admitted was used in last year’s bombardment of Gaza. This shameful act is supposed to support a ban of any sale of arms where there is a “clear risk” that they may be used to commit serious breaches of human rights. Back in July, Business Secretary Sajid Javid’s department said it was now satisfied that the licences meet the UK’s export criteria. Just over a year ago, a YouGov poll revealed that nearly two thirds of the British public (62%) believed that the Israeli government had committed war crimes in their actions in the summer offensive of Gaza and another 26% thought the British government had done so. The wishes of the public are continually ignored by government – a government voted for by just 37% of the electorate. Last years attack by Israel in Operation protective Edge left 2,310 Gazans dead and nearly 11,000 wounded, including 3,374 children, of whom over 1,000 were left permanently disabled. 66 Israeli soldiers, 5 Israeli civilians, including one child were killed. 469 IDF soldiers and 261 Israeli civilians were also injured. Given the contribution of weapons and technology provided, Britain was complicit in an act of genocide. The fact that it was against the Palestinian people despite strong electoral support of their struggle, only demonstrates the self-serving interest of Britain’s politicians and their corporate paymasters, in this case, the weapons manufacturers and their lobbyists. The 1987 and 2000 Intifadas claimed more than 5,000 Palestinian and Israeli lives, most of them civilians on both sides. It appears that Intifada number three is emerging.